With the advent of wavelength routing and dynamic, reconfigurable optical networks, new demands are being made in the design and operation of optical amplifiers. This book provides, for the first time, a comprehensive review of optical amplifier technology in the context of these recent advances in the field. It demonstrates how to manage the trade-offs between amplifier design, network architecture and system management and operation. 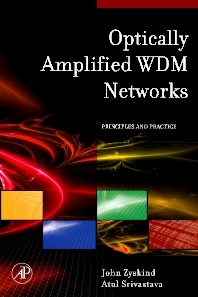 The book provides an overview of optical amplifiers and reconfigurable networks before examining in greater detail the issues of importance to network operators and equipment manufacturers, including 40G and 100G transmission. Optical amplifier design is fully considered, focusing on fundamentals, design solutions and amplifier performance limitations. Finally, the book discusses other emerging applications for optical amplifiers such as optical networks for high data rate systems, free space systems, long single span links and optical digital networks. This book will be of great value to R&D engineers, network and systems engineers, telecommunications service providers, component suppliers, industry analysts, network operators, postgraduate students, academics and anyone seeking to understand emerging trends in optical networks and the consequent changes in optical amplifier design, features and applications.